If you need a display that will make your impulse sales soar, you just found it! The Black Impulse Display with 4 Bins draws attention straight to your products. 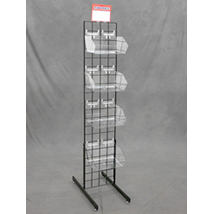 Situate the acrylic bins at various heights to give your display some extra depth. This bin display is ideal for candy, breads, snacks, toys, and much more. Your customers won't be able to resist splurging on that last minute item they didn't even know they needed or wanted. 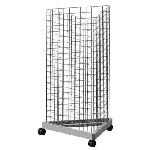 Add an impulse bin display to your cart today!